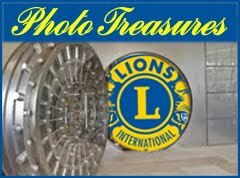 The Belle Fourche Lions Club was founded on October 10, 1936 and was sponsored by the Rapid City Lions Club, which is today known as the Rapid City Downtown Lions Club. 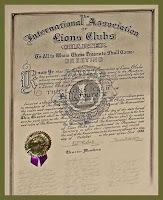 The charter president of the Belle Fourche Lions Club was druggist A.R. Powell and charter secretary was service station owner O.J. Buxton. Other members whose names are etched in Belle Fourche history were Dr. R.M. Buck, veterinarian; Lem Overpeck, attorney; Otha Frost, funeral director; Mike Heinbaugh, newspaper editor; Dr. D.A. Lind, dentist; Reuben Schmidt, druggist; Dr. Sion Sherrill, physician; and Seth Smith, jeweler. Belle Fourche Lions Club members have been recognized as leaders in public service. The club is well known for the camaraderie of its members, and we enjoy working together for the community. Since the Belle Fourche Lions Club was formed, our members have held leadership positions at the district and state levels. Charles Bruggerman was president of the Lions Foundation in 1979-80; Tony Schmaltz led the foundation in 1983-84. 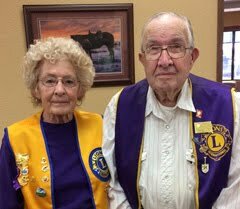 Five Belle Fourche Lions have served as District Governor. They include: Burton Penfold (1947-48); George Freemole (1955-56); Dale Gillette (1975-76); Henry Kahler (1980-81) and Charles Livingston (1990-91). The Belle Fourche Lions Club has a long and admirable record of public service within the community. True to a traditional goal of Lions International, we strive to provide eyeglasses for needy resident. 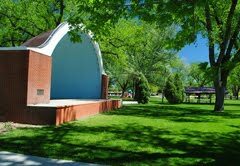 Our members have built numerous picnic shelters in city parks and at the Roundup grounds. Wielding hammers and other tools, we've participated in the Habitat for Humanity home construction program. Lions have built restrooms at Herrmann Park and helped construct the Bowman Community Center. Over the years, we've performed blood pressure and other tests from the mobile Lions health van. 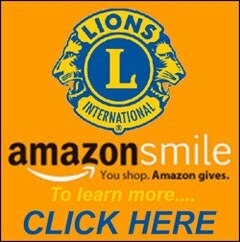 Each Christmas, Lions adopts a needy family. 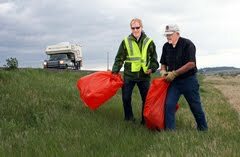 As part of the Adopt-a-Highway program, Belle Fourche Lions routinely pick up trash for two miles alongside Highway 34 west of Belle Fourche, and we mobilized members to refurbish the Johnny Spaulding cabin for the Tri-State Museum. 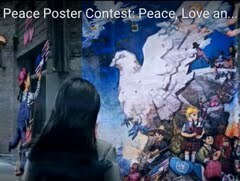 Annually, Lions organize a youth Peace Poster Contest in conjunction with local schools, and we have also provided numerous scholarships for high school students. 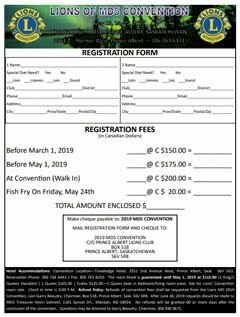 Over the years, Belle Fourche Lions have initiated a variety of fundraising activities that support our many public service initiatives. We've sold burgers, brats and doughnuts at the All Car Rally; provided ushers for the annual Black Hills Roundup; sold light bulbs; sold giant coloring books during the holiday season, participated in White Cane Days, and held raffles and pancake feeds. We'll do what it takes to preserve and expand our mission of service to the community. 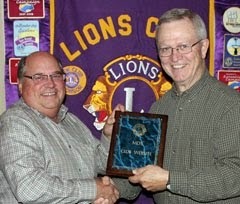 In 2011, the Belle Fourche Lions Club was awarded the Community Pride Award from the Belle Fourche Chamber of Commerce. Belle Fourche Lions have sponsored five new Lions Clubs in western South Dakota, including Spearfish, Sturgis, Buffalo, Piedmont Valley, and the Northern Lights Lions Club in Belle Fourche. 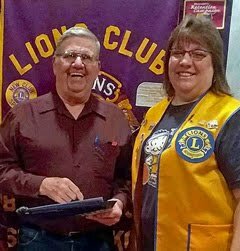 After five years of many accomplishments as a smaller club, ladies of the Northern Lights Lions Club chose to join the Belle Fourche Lions Club. 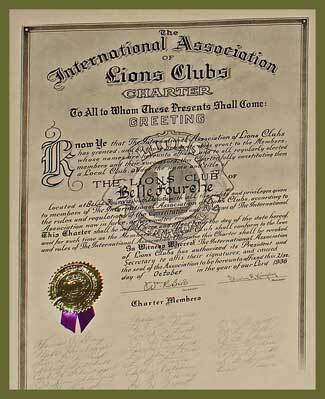 This merger was acknowledged on Tuesday, March 24th, 2015 when the men and women of the newly-constituted Belle Fourche Lions Club gathered at The Stadium Sports Grill to begin a new phase of local Lionism. We are proud of our public service accomplishments and are committed to redoubling our efforts to reflect our motto -- We Serve!